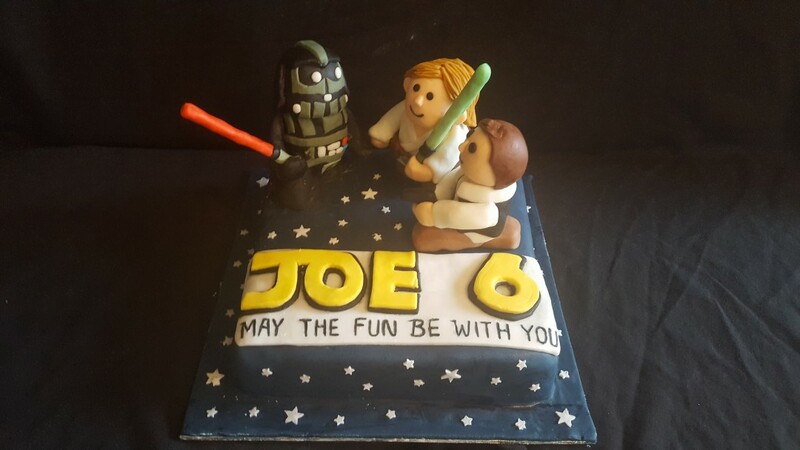 A star wars cake, decorated with stars and a star wars related birthday message. Featuring Darth Vader with his light saber, luke skywalker with his light saber and Hans solo with his fire arm. All ready for a galactic fight!